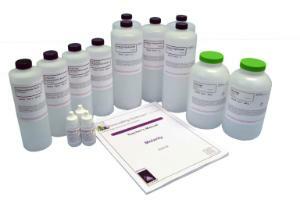 Designed to Introduce Students to the Concept of Molarity. Students will first try to make a solution with a specific molarity demonstrating the importance of good laboratory technique. In the second set of experiments students will perform a titration on a known acid solution before using the concepts they have learned to identify the concentrations in three unknown solutions. Ordering information: Kit includes Hydrochloric Acid, Phenolphthalein Solution, Sodium Hydroxide, Sucrose, Unknown Hydrochloric Acids #1-#3, Teacher's Manual, and Student Study Guide Copymasters. 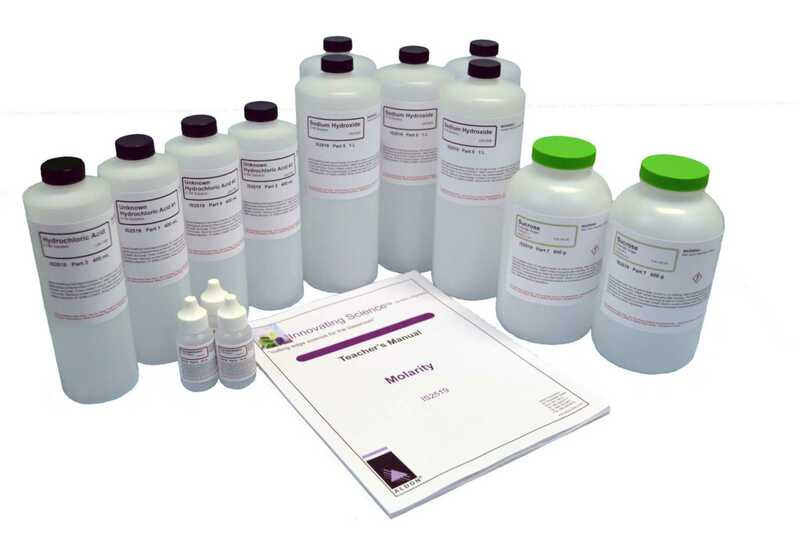 Materials needed but not included are (15) 100 mL Beakers, (15) 200+ mL Beakers,(15-30) Burettes, (15) Burette Funnels, (15) Burette Clamps, (15) Burette Stands, Deionized Water, Graduated Cylinder, Permanent Marker, and Stirring Rod.